The Darjeeling district administration has repeatedly denied permission to opposition parties from conducting election meetings in the hills. 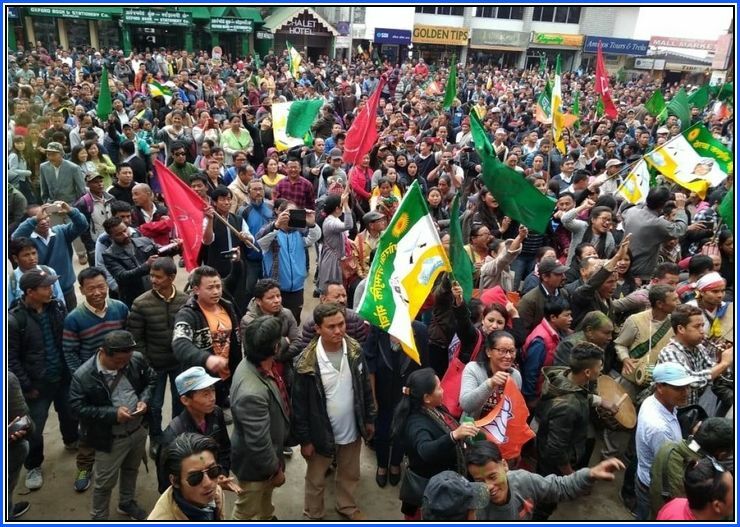 After being repeatedly denied election meeting permission, a coalition of four main political parties in the hills -- Gorkha Janmukti Morcha, Gorkha National Liberation Front, Communist Party of Revolutionary Marxist and Bharatiya Janata Party -- on Monday took out a cultural rally showcasing Gorkha unity and solidarity. They are calling it ‘Gorkha Ekta Maharally’.